We met Molly and Alex at another wedding - they were rad and cute and interesting and funny. We always knew the wedding was gonna be dope because their style is really unique, and they are 100% true and real to who they are. 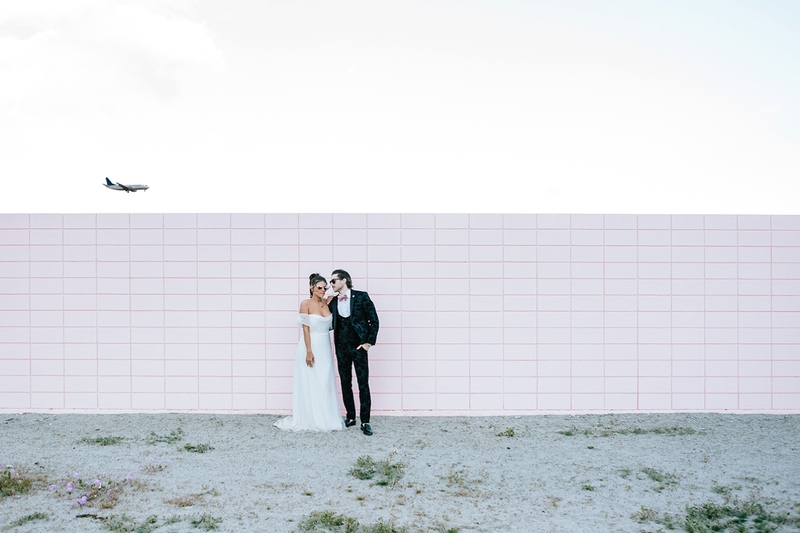 Fast forward to this pink paradise in Palm Springs, and it did not disappoint! It was amazing watching them interact and speak directly into each other's hearts - they were so connected. The ceremony had us laughing and ugly crying and laughing some more - time stood still for them, and it felt really special to be a witness. This trailer will give you all the feels, and make you wanna hashtag GoalsAF ten thousand times a second. "Like the words etched on the inside of those rings...we have, we will, we ARE Forever Trill". Thanks to Moonmilk Studios, Hello Gem and Pow Wow Design Studio for all the eye candy!! 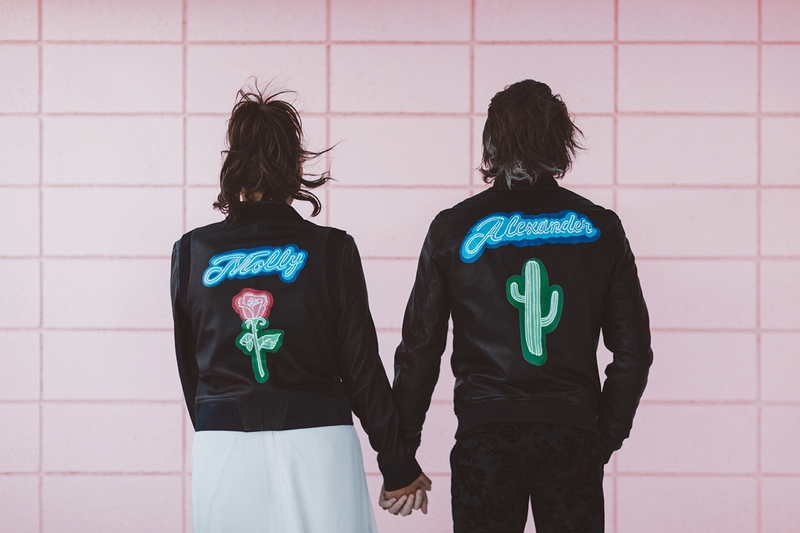 And don't you guys die over their custom leather jackets from The Mighty Company? !